Twenty-first century technological advances have put a wealth of information right at our fingertips—except, it seems, when it comes to our children’s academic performance. Nine out of 10 parents of K-8 students believe their children are performing at or above grade level in reading and math, yet only one-third of eighth graders perform at or above proficient in those subjects on the National Assessment of Educational Progress (NAEP), also known as the Nation’s Report Card (see here and here), which is administered by the U.S. Department of Education. As a mother of two teen boys, this disconnect is a heartbreaking wake-up call...Parents are all in when it comes to their children’s happiness and success, owning the responsibility for how well their children perform in school. The data clearly show that most parents lack an accurate picture of their children’s progress. We believe it’s because so much of what parents receive about their child’s progress is indecipherable—filled with edu-jargon, confusing terms, and often lacking actionable information they need to fulfill their commitment to support their children’s learning and growth. What’s more only 37 percent of high school seniors are deemed ready for college or the workforce, even though the country’s average high school graduation rate is 83 percent. States have spent a combined $80 billion on the Obama administration’s Common Core standards, which were supposed to ensure students are college- and career-ready. Federal testing mandates originating with the Bush administration’s No Child Left Behind (NCLB) Act have also helped fuel the proliferation of standardized testing. In fact, by one estimate students in large-city public school districts take about eight standardized tests per year. This has prompted a growing testing opt-out backlash from parents and students–particularly since parents get so little meaningful information from many of these tests. The vast majority of parents, 66 percent, believe their children’s report cards provide more reliable information about their children’s progress. Parents also gauge their children’s progress by how well they perform on regular homework assignments. Why? Because parents can actually intervene with their children’s homework and work with their teachers based on their children’s progress reports. What can a parent do with a bevy of standardized test scores they often don’t receive until weeks before a new school year? 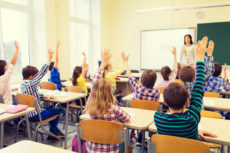 While much of the education reform debate focuses on school choice, it’s important to remember that deciding where their children attend school is just one component of the much larger parents’ rights movement to empower them over all aspects of their children’s upbringing and education—including the ability to decide how their children’s academic progress is measured.